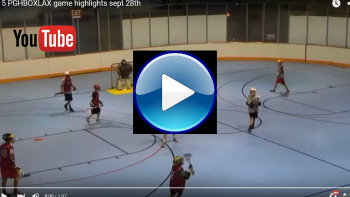 PGHBOXLAX has begun with lots of exciting action! The 30-second shot clock is a great addition that keeps the pace of play moving very quickly. HS, U15, U13 and U11 levels all receive expert instruction from our experienced coaches on new box techniques prior to each game.